These are not easy times for Lexi Thompson, the best American player in women’s golf. Frequently the face of the LPGA Tour – at least at U.S. tournaments – Thompson uncharacteristically took a break from pre-tournament interviews at the KPMG Women’s PGA Championship at Olympia Fields this week. She didn’t want to field questions about either her mother’s health or the controversial four-stroke penalty that she was assessed in the LPGA’s first major tournament of the season, the ANA Inspiration. The penalty handed that title to Korean So Yeon Ryu, who is now the top-ranked woman in the game. Thompson is No. 4, with Thailand’s Ariya Jutanugarn and New Zealand’s Lydia Ko standing second and third, respectively. Ranking points aren’t very important right now, not with her mother Judy battling uterine cancer. Thompson unexpectedly ended her silence on that topic late Thursday night after shooting a 1-under-par 70 in the first round at Olympia Fields. She had barely reached the clubhouse when dangerous weather suspended play for the day, and she got in just ahead of another suspension of play in Friday’s second round after posting a 69. Reports of her mother’s health problems surfaced as players started arriving at Olympia Fields on Monday. 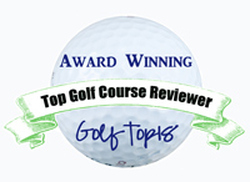 They were confirmed by Thompson’s agent on Wednesday but Thompson has been struggling with her mother’s health diagnosis since winning a tournament in Kingsmill, Va., in May. 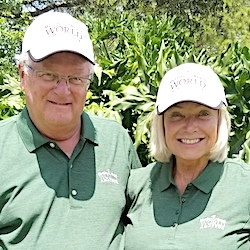 The U.S. Women’s Open is July 13-16 at Trump National in Bedminster, N.J.
Judy Thompson and husband Scott live in Florida and are the parents of three professional golfers. Lexi’s brothers, Nicholas and Curtis, are also competitive players but don’t have the high profile that Lexi has. She stormed onto the national stage when she qualified for the U.S. Women’s Open as a 12-year old and was only 15 when she turned pro in 2012. While Lexi, now 22, was just starting to make her mark as a golfer her mother was diagnosed with breast cancer. Judy Thompson, 60, had the third of her four radiation treatments just 23 days after undergoing surgery for uterine cancer with Lexi holding her hand during the procedure in Coral Springs, FL. The quick treatment came with the help of fellow competitor Morgan Pressel, who has a breast cancer foundation in nearby Boca Raton. The entire LPGA community has supported the Thompsons since Judy’s diagnosis, and that’s been a big help. Thompson started her play at Olympia Fields with bogeys on the first two holes on Thursday, but she battled back and is now 3-under-par through 36 holes. That put her within striking distance of the leaders going into the weekend rounds.